S’Mores Ice Cream made from scratch is about as yummy of a summer treat that you will ever make. I know that’s a bold statement, but it is really true. Everyone loves s’mores, right? Everyone love ice cream, right? The two are a match made in Ice Cream Heaven. 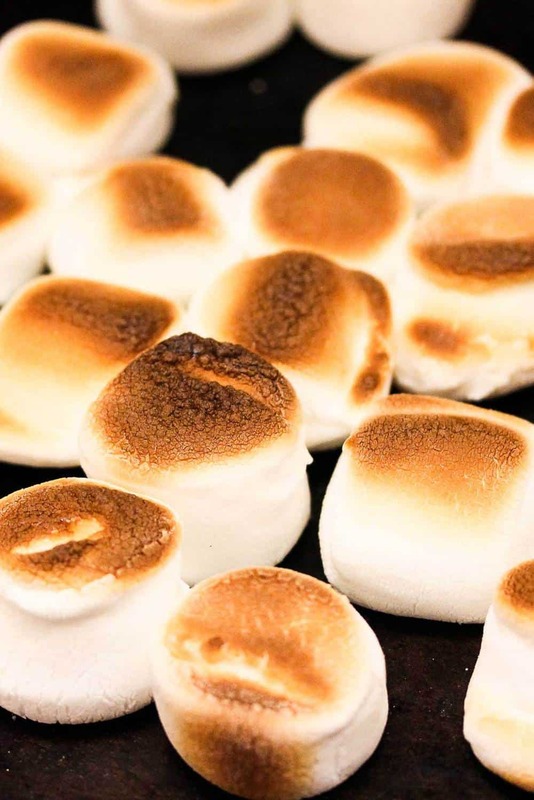 Learn all about the history of everyone’s favorite campfire treat S’Mores. It took a lot of attempts until I found what we think is ice cream perfection. As is often the case, something this good takes a little time. Just give yourself a day, or two, before you serve. 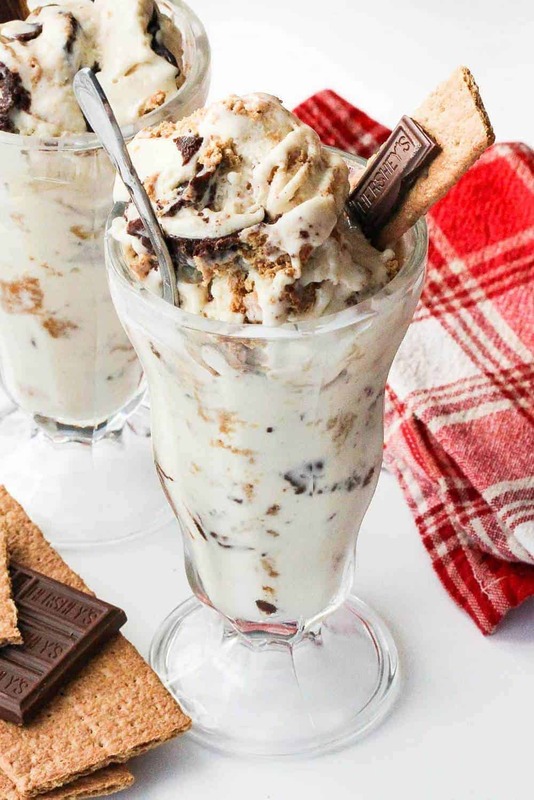 The ice cream is loaded with crumbled graham crackers. The custard for the ice cream is rich and so flavorful. Be sure not to over cook the egg yolks, otherwise, they may curdle on you. 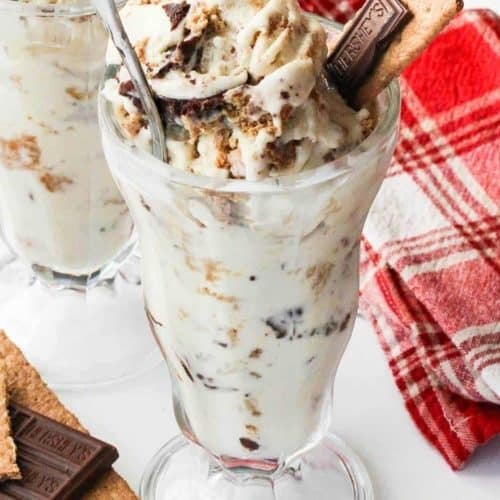 You’ll need a hand mixer and your favorite ice cream maker to create this incredible S’Mores Ice Cream creation! And a S’mores wouldn’t be a S’mores without toasted marshmallows. We go with the big fluffy kind and then get them nice and toasty in the oven. Talk about a crowd-pleasing ice cream treat. The kids will flip for this Homemade S’Mores Ice Cream, but get ready, the whole family and neighborhood will, too! 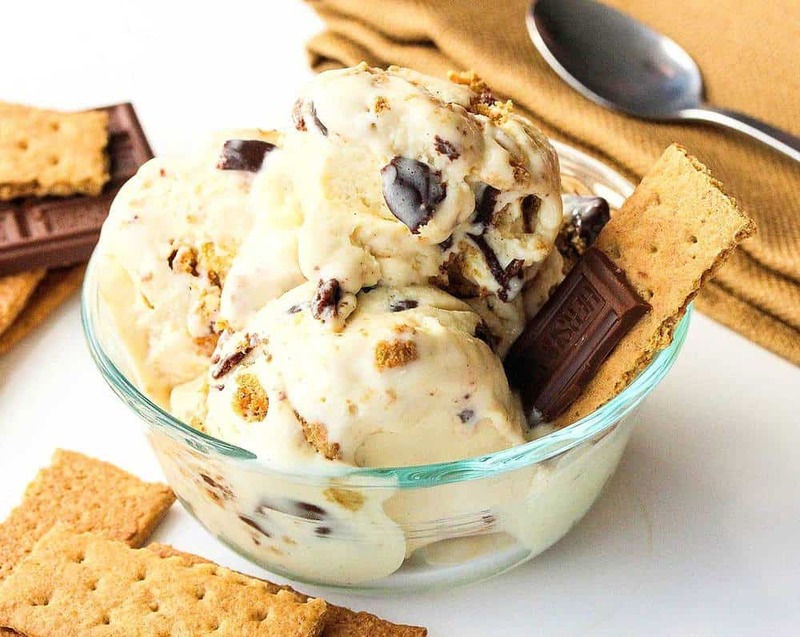 This S'Mores Ice Cream recipe, as will happen from time to time, takes a little effort. But with one bite, you'll be so glad you stepped up to the challenge. 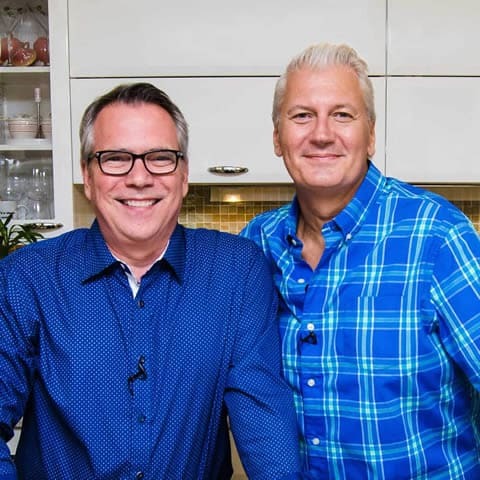 I've played around with this recipe for a while...and we are thrilled with the final result. Use easy-to-make homemade chocolate sauce, and you'll be thrilled. Amazing. Place marshmallows on shallow baking sheet lined with parchment paper and broil for 2 - 3 minutes (keep close eye...don't get too burnt)...turn one or two times during the roasting. Let the marshmallows cool slightly, then place them in blender. Next, in a medium saucepan over medium low heat, whisk together the milk, cream, 1/2 cup of the sugar, salt and the scraped vanilla bean (as well as the pod). Bring the mixture just to a boil. 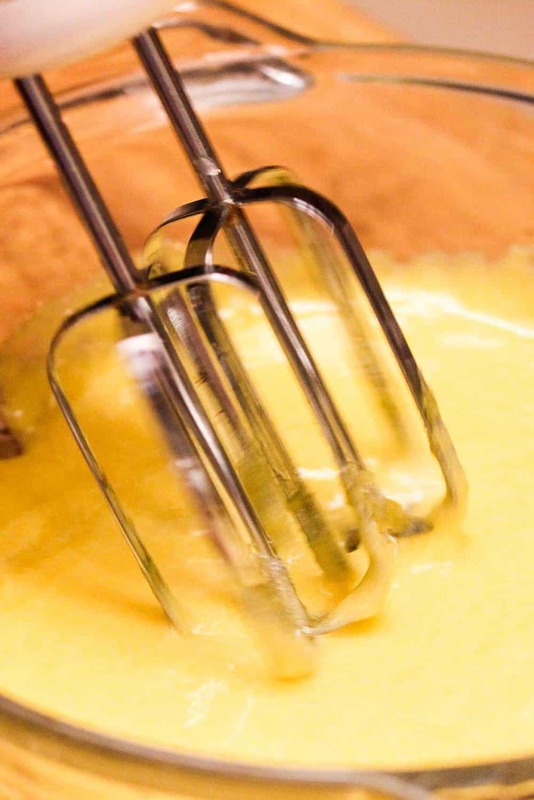 While the cream mixture is heating, combine the yolks and remaining sugar in a medium bowl, and then, using a hand mixer on low speed or whisk, beat until the mixture is pale and thick. Now, once the cream mixture has come to a slight boil, whisk about 1/3 of the hot cream mixture into the yolk/sugar mixture. Stir to incorporate, and now add another 1/3 of the mixture, stir again. Next, return the combined mixture to the saucepan with the remaining cream mixture, and stir to fully incorporate. Using a wooden spoon, stir the mixture constantly over low heat until it thickens slightly and coats the back of the spoon. DO NOT boil, or the yolk will overcook...this only take a few minutes. Pour the mixture through a fine mesh strainer and discard the vanilla pod. Bring to room temperature (you can place the bowl in an ice bath, without submerging, to expedite cooling). Add the cooled cream mixture to the marshmallows in the blender. And add another 1/2 cup of cream and the vanilla extract. Puree until well blended and smooth. 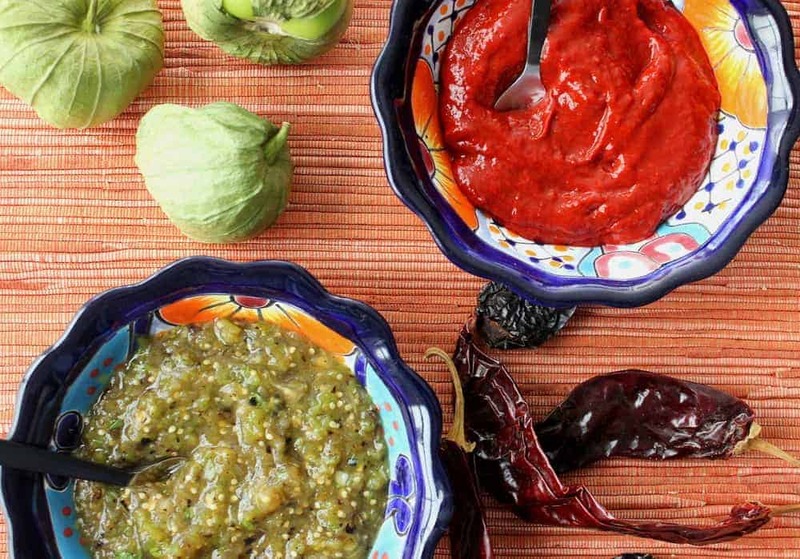 Pour into a bowl and refrigerate 4 hours, or overnight (overnight is best). Make the chocolate sauce and let cool (you can do this up to 8 hours in advance). (Link to recipe in Ingredients list). Remove the cream mixture from the refrigerator and whisk again. Pour mixture into your ice cream maker and follow manufacturer instructions. 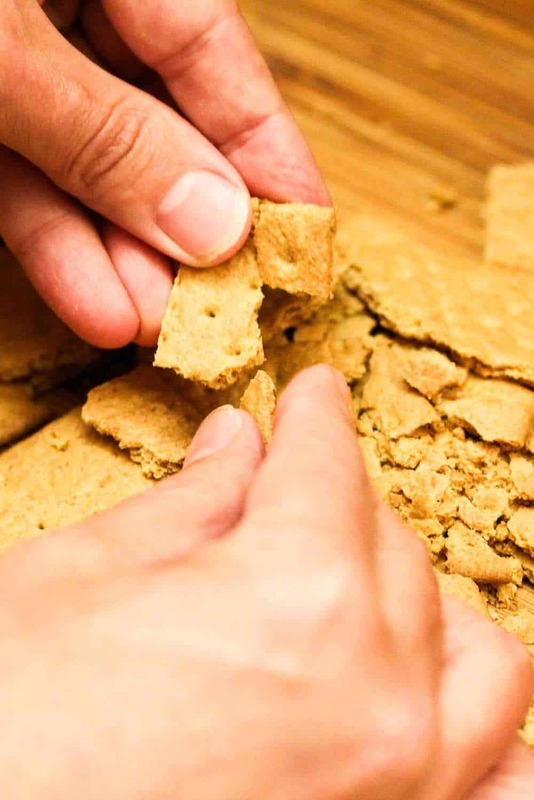 During the last 5 minutes, fold in the graham cracker pieces. In a separate vessel, pour about 1/4 cup of the chocolate sauce on the bottom. Layer in one level of churned iced cream (don't mix with the chocolate, or it will get dark and murky). Continue adding ice cream and chocolate, in layers. A friend of mine spotted this on my Pinterest and made it for several of us. It was AMAZING! It last less than 24 hours, and we all can’t wait to make it again. We are so happy you made this ice cream!! I played around with this recipes quite a bit. Sometimes, I worry that folks will just think, ah, that’s too complicated. And I just want to say…give it a try…you will LOVE it! We were the same way, once the recipe became solid…it did not stay in the freezer for more than 24 hours! Thanks for letting us know!! Happy Summer!! Keep coming back! !